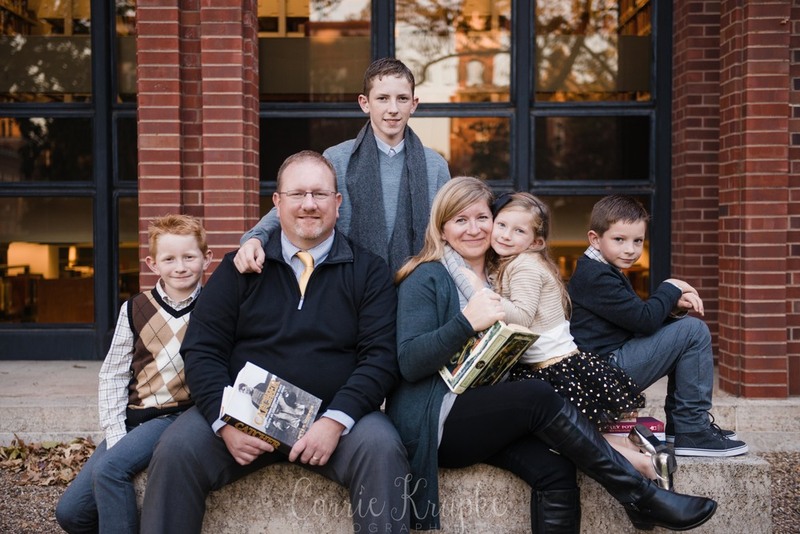 I think it's safe to say that Twitter gave me the gift of this family session. 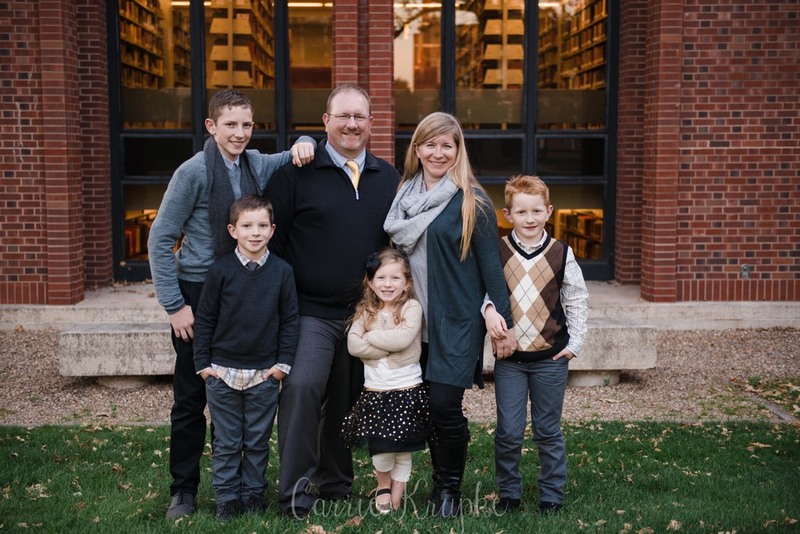 I started calling out the @NHS_Section every time I did a Norwalk High School senior and eventually, the moderator sent me a message asking if I did family sessions. Not knowing who the moderator was, I said yes, and I have a hunch now that it was Mr. Basinger, NHS Principal. 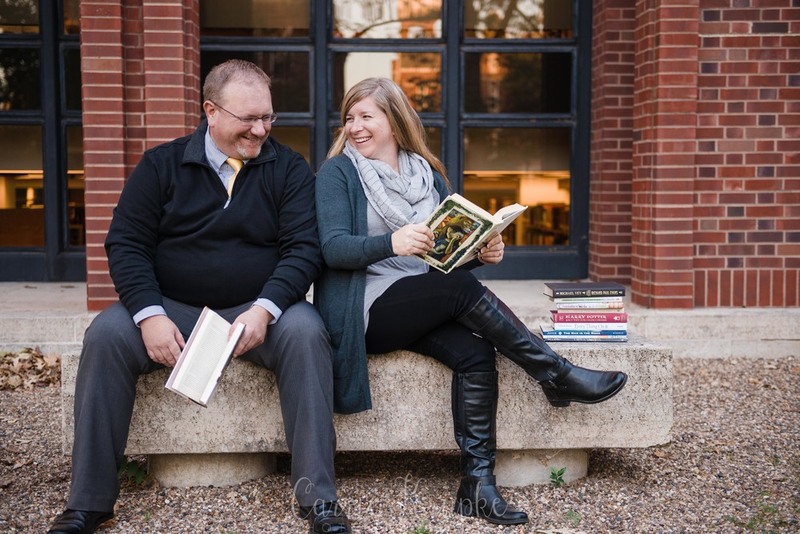 He and his wife, Beth, are English teachers by trade, though now Chris is an administrator, so I asked Beth to gather what they were all currently reading for some fun props. 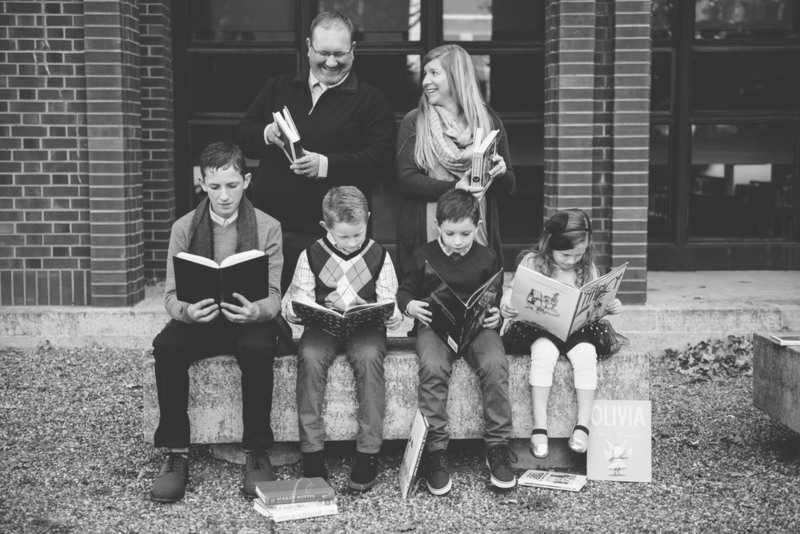 We met, appropriately, in front of Drake University's library, Cowle's Library and played with the architecture of the building, the books and their awesome-ly fun 4 kids. Chris + Beth, Thank you so much for having me & giving me the pleasure of seeing your whole family together! I love getting to widen my circle of clients/friends because I know I will always learn something new (there's a triology to WICKED?!) and have a whole lotta fun along the way. Blessings on your school year! !